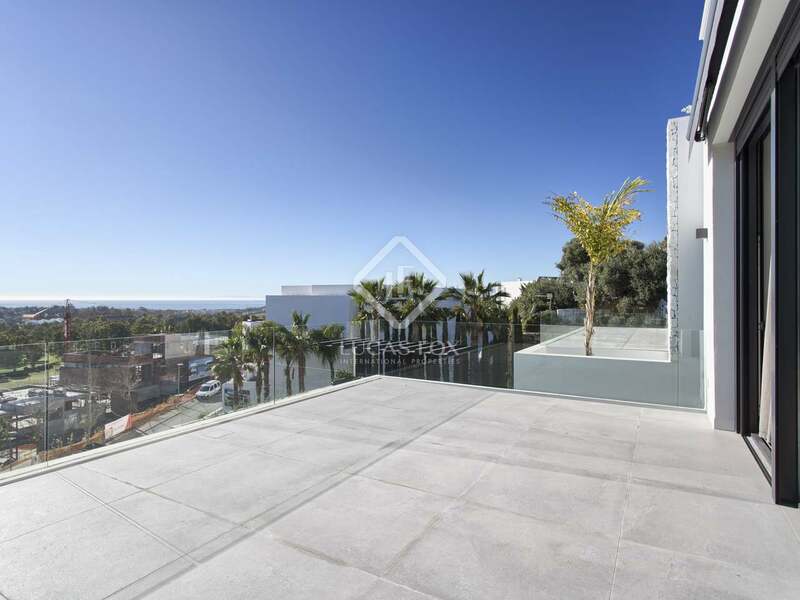 Modern new luxury villa with 5 bedrooms and 5 bathrooms in an excellent location in Benahavis, with panoramic sea and mountain views. 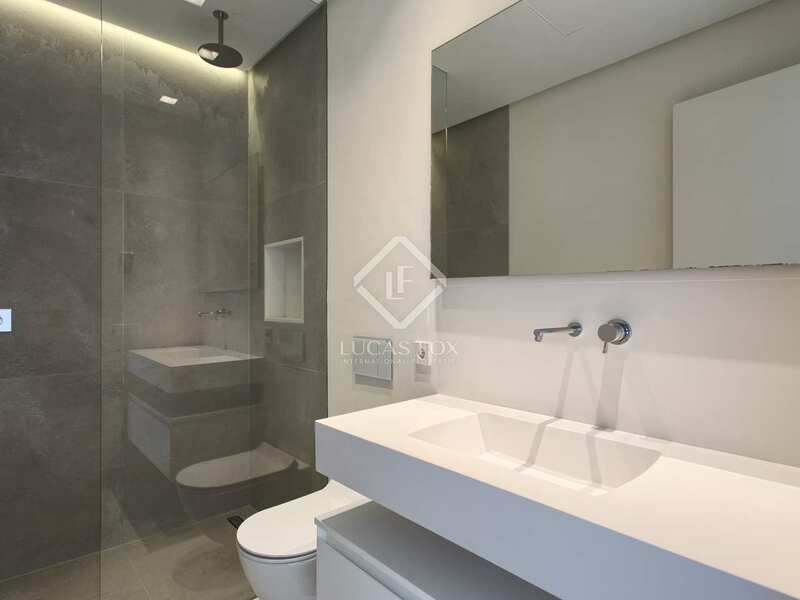 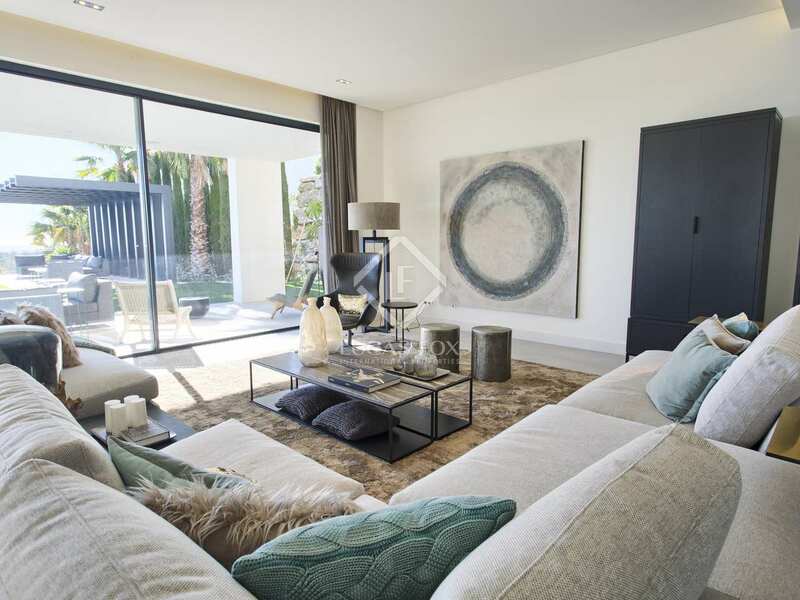 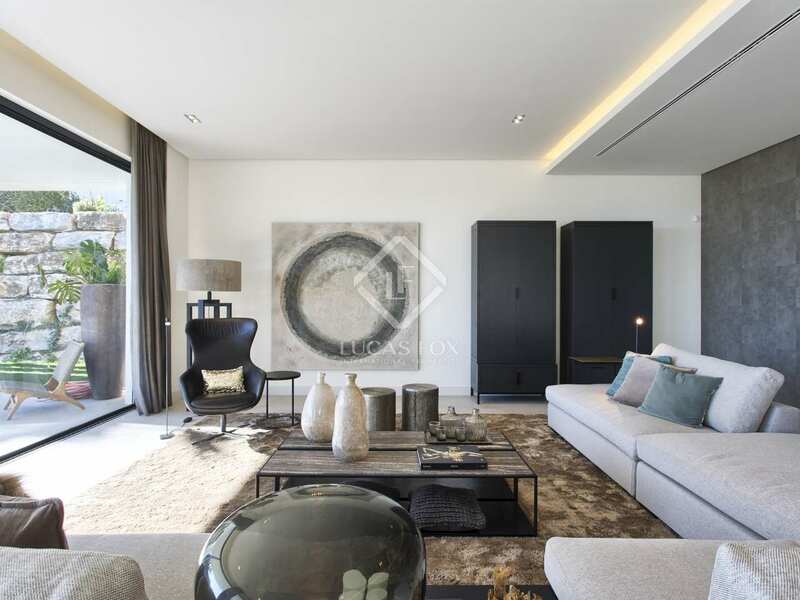 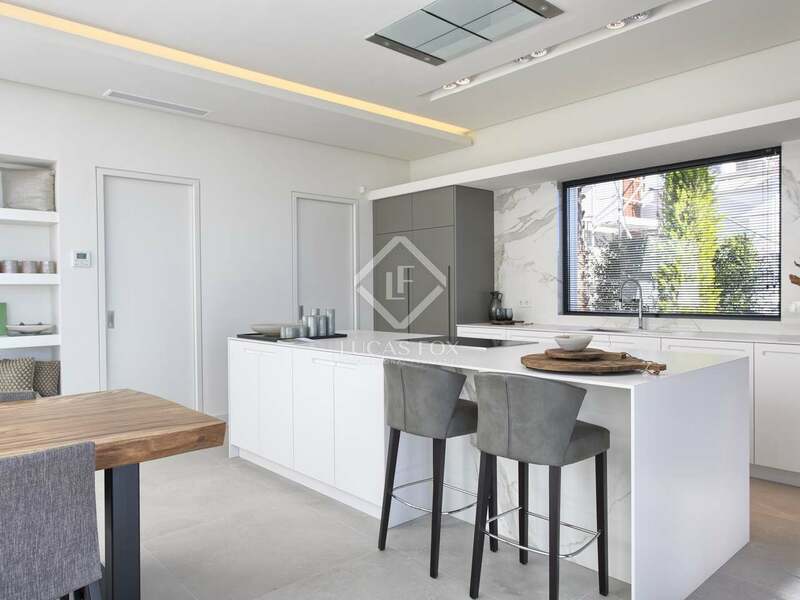 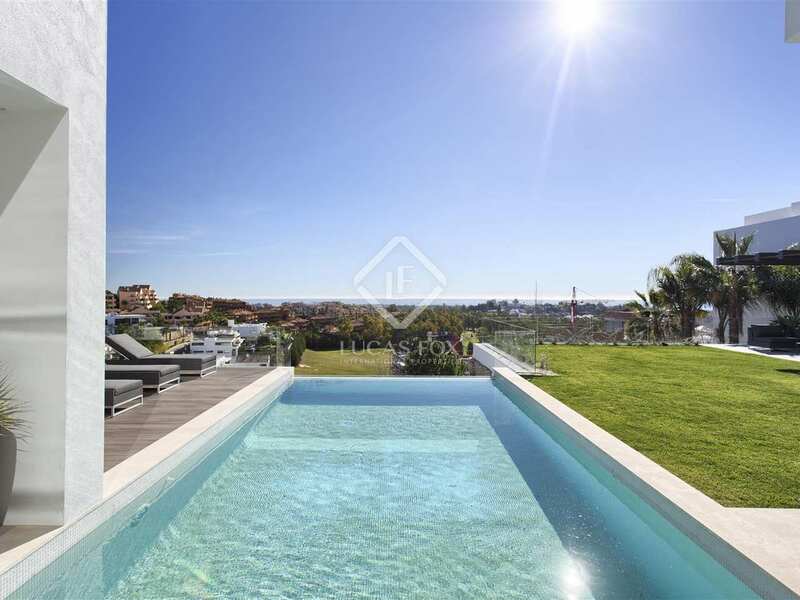 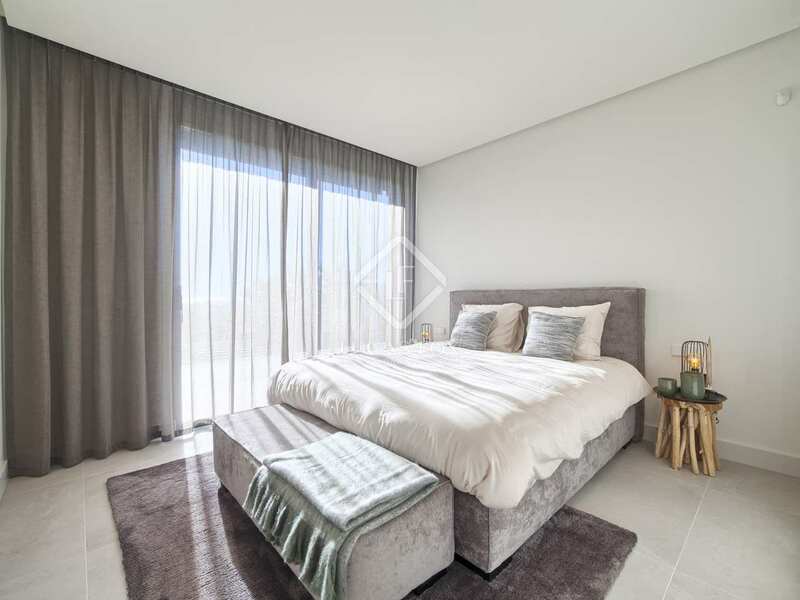 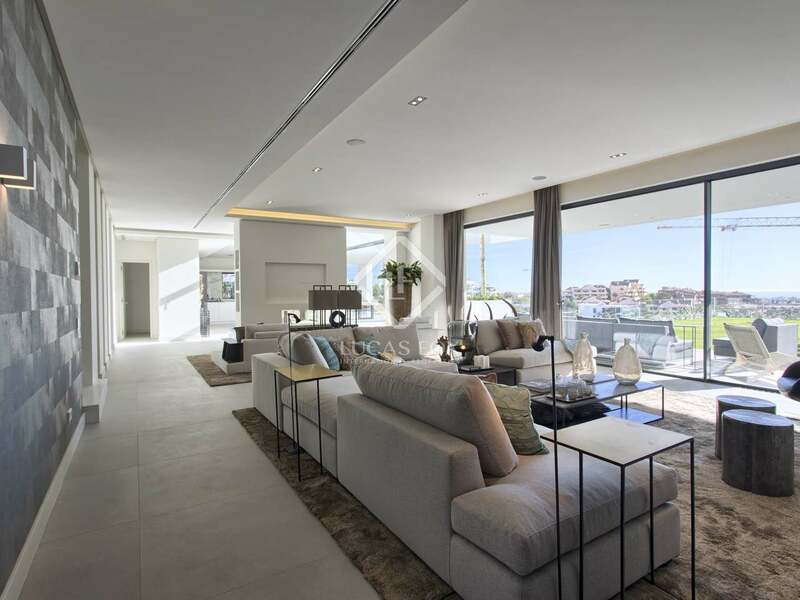 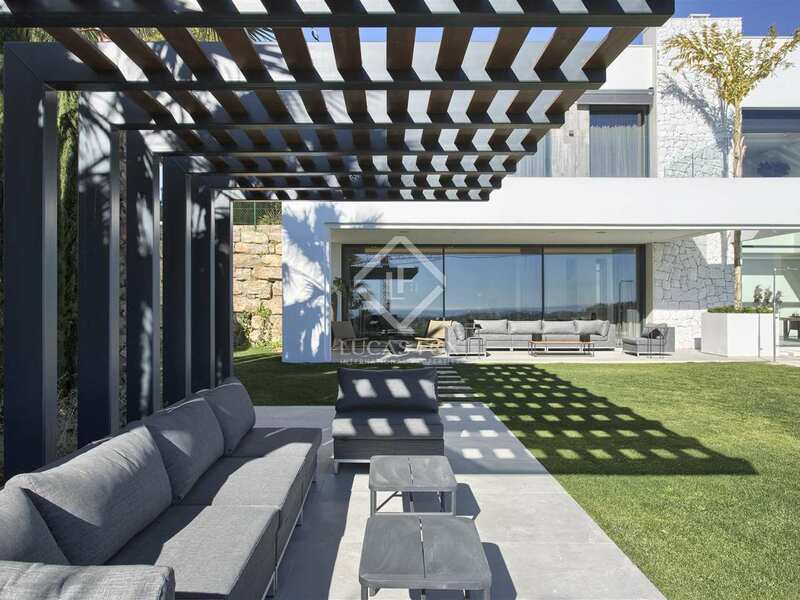 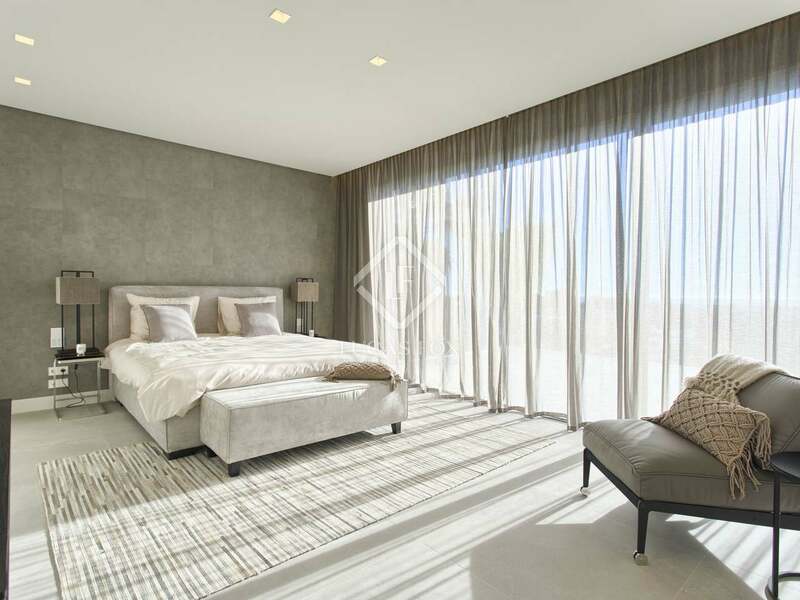 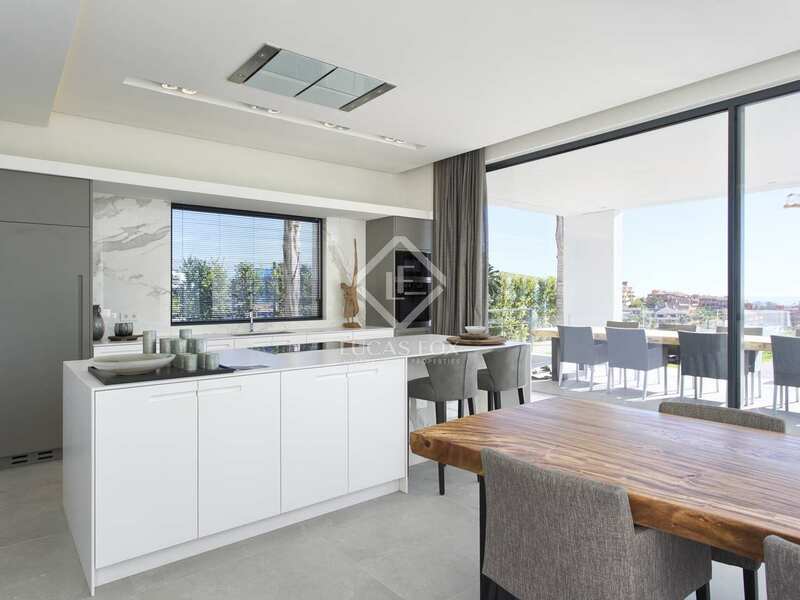 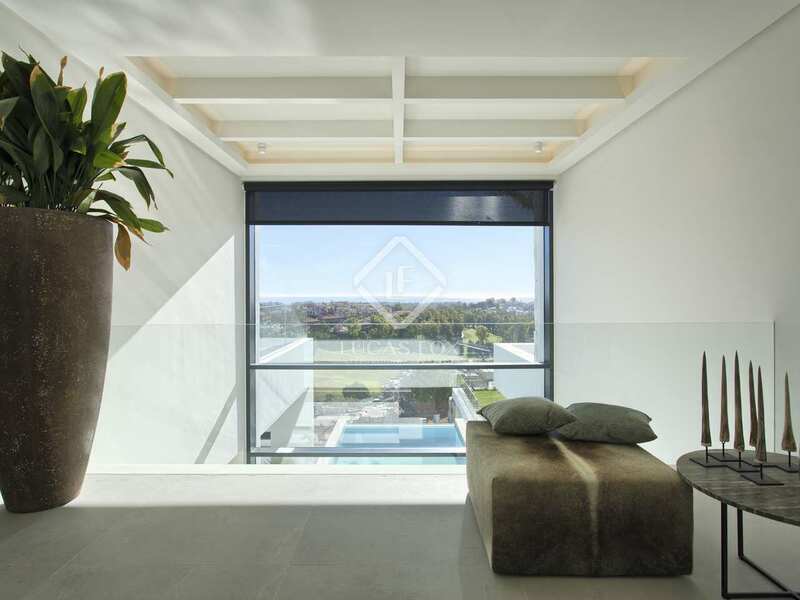 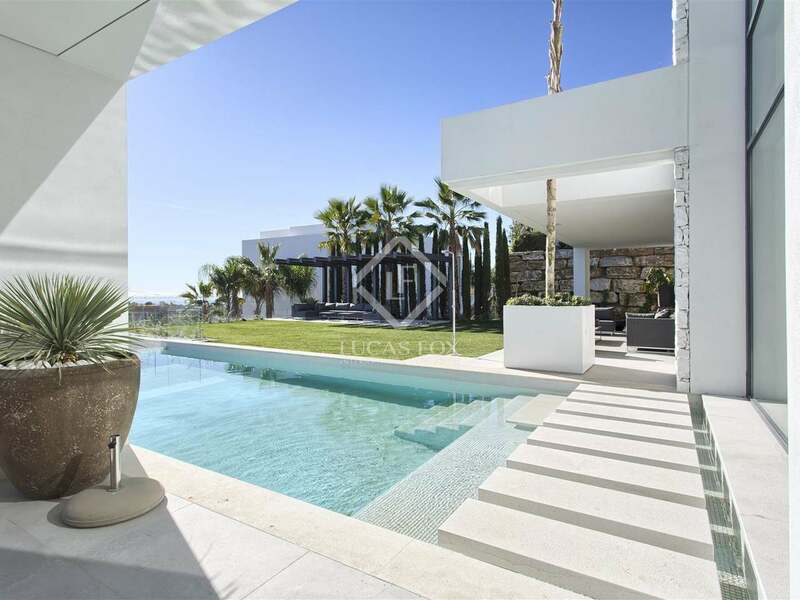 Brand new modern villa by architect Carlos Lamas on a sunny south to south-east facing plot in Benahavis with stunning panoramic views of the Mediterranean Sea, the surrounding hills and a golfing green. 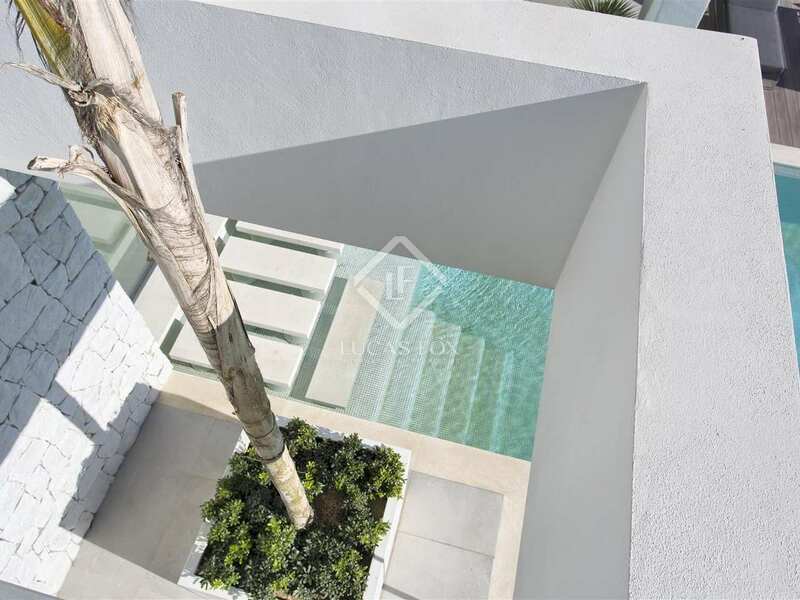 After leaving the car in the carport we enter the villa on the top floor which accommodates 4 ensuite bedrooms with access to several terraces. 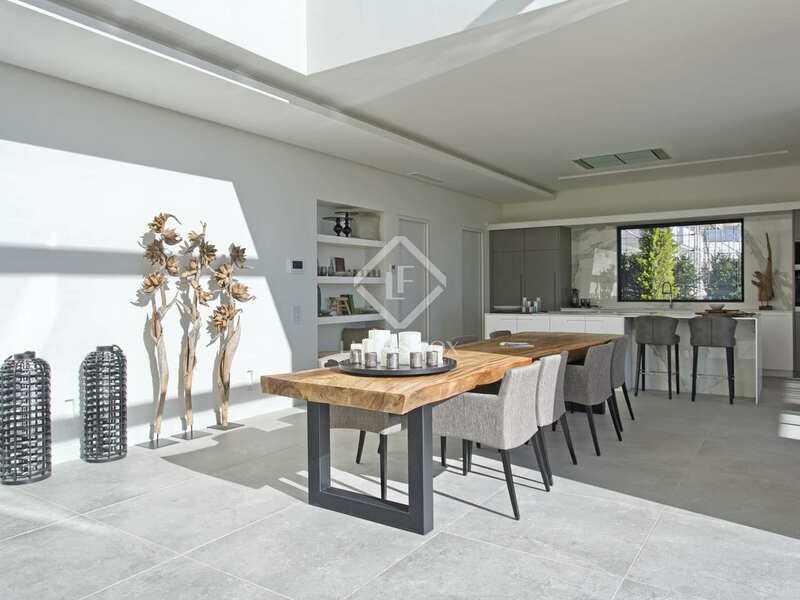 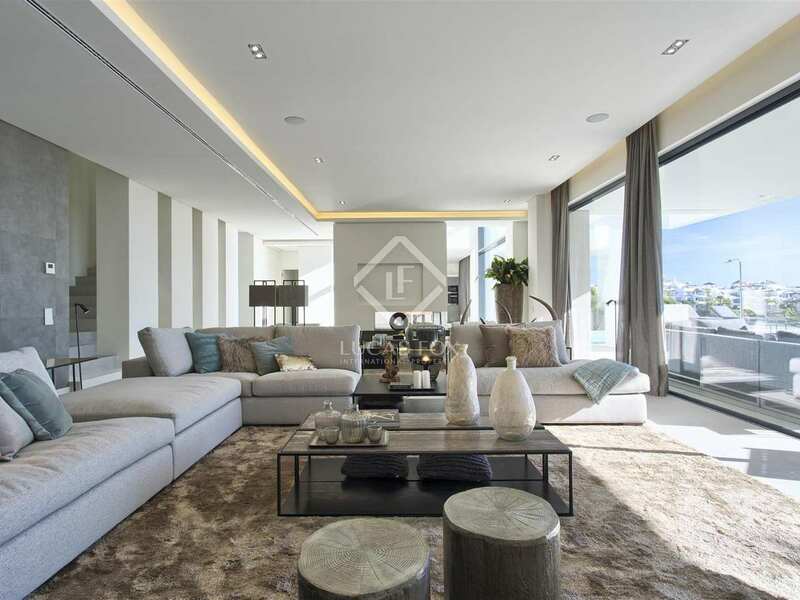 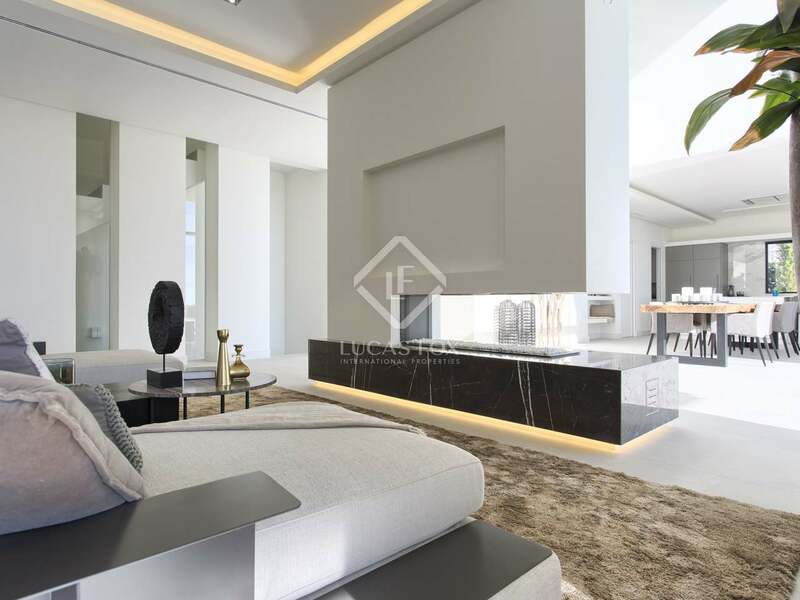 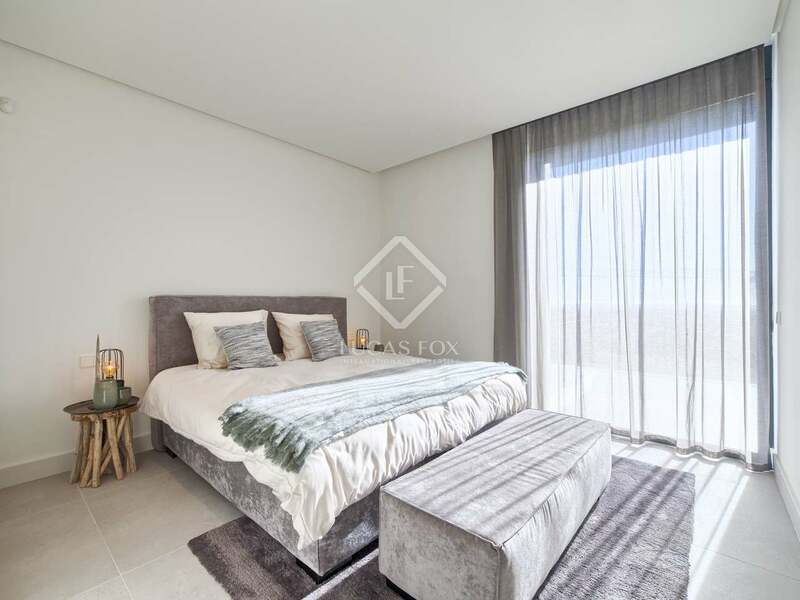 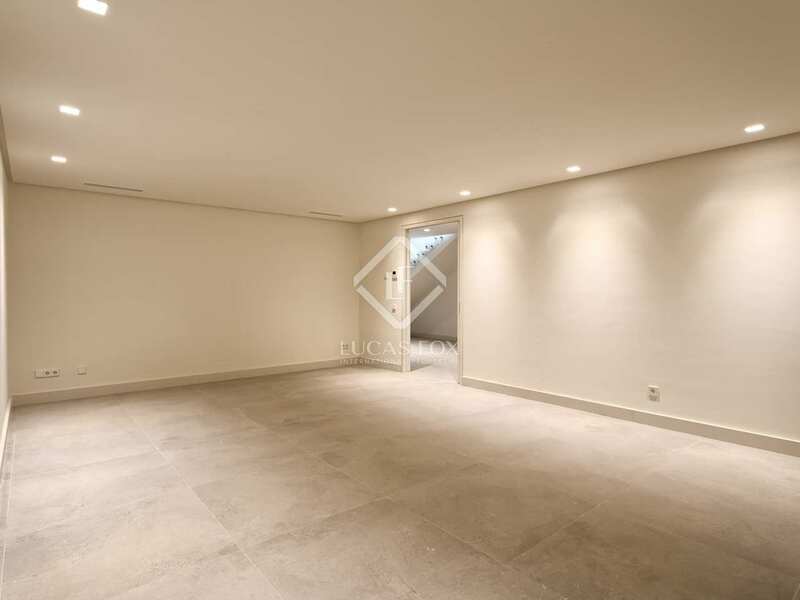 The floor below offers a spacious open plan living and dining room with high ceilings and a cosy central fireplace. 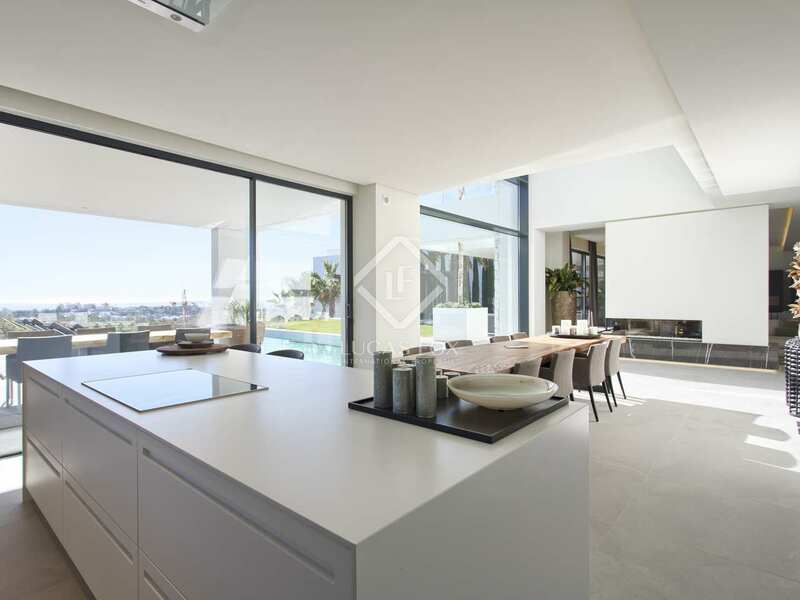 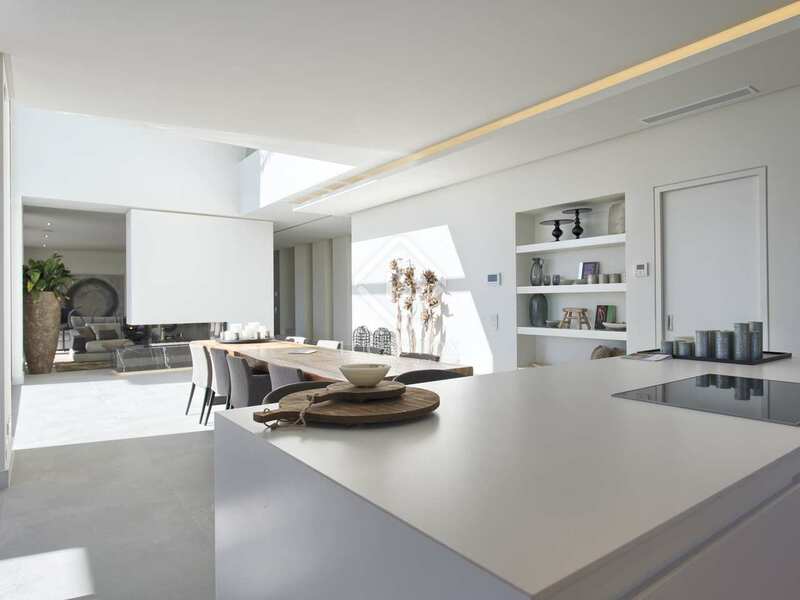 The Danespan kitchen is fully equipped with Siemens appliances and has an attractive island. 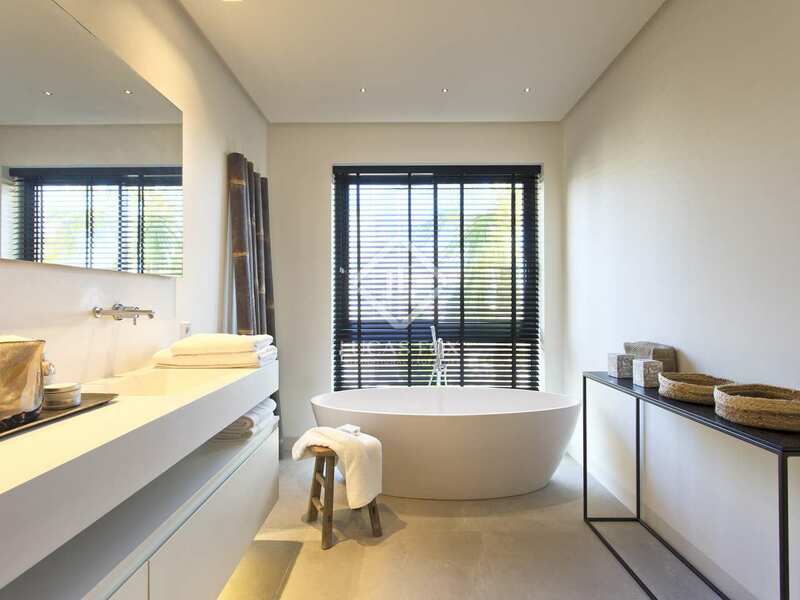 A guest bathroom completes this level of the villa. 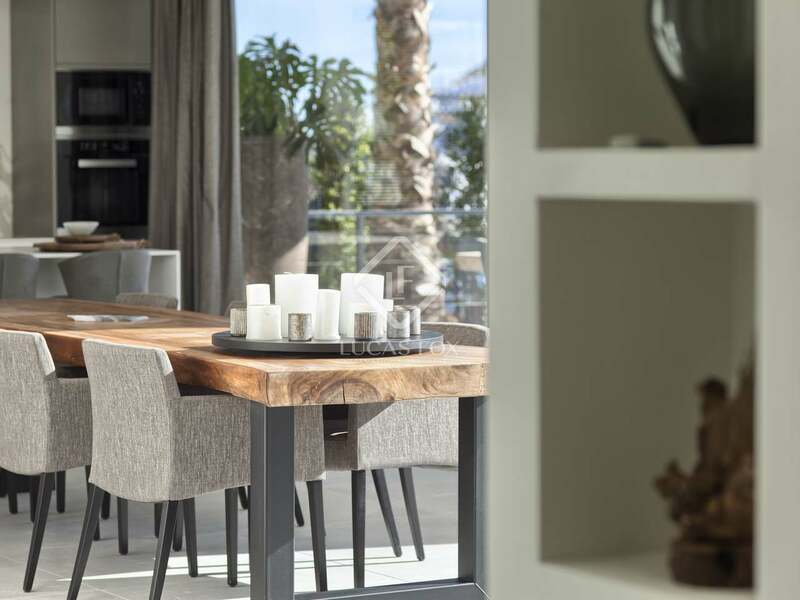 From this floor we gain direct access to the magnificent private garden with its porches, open terraces, landscaped garden, infinity pool, chill out and barbecue. 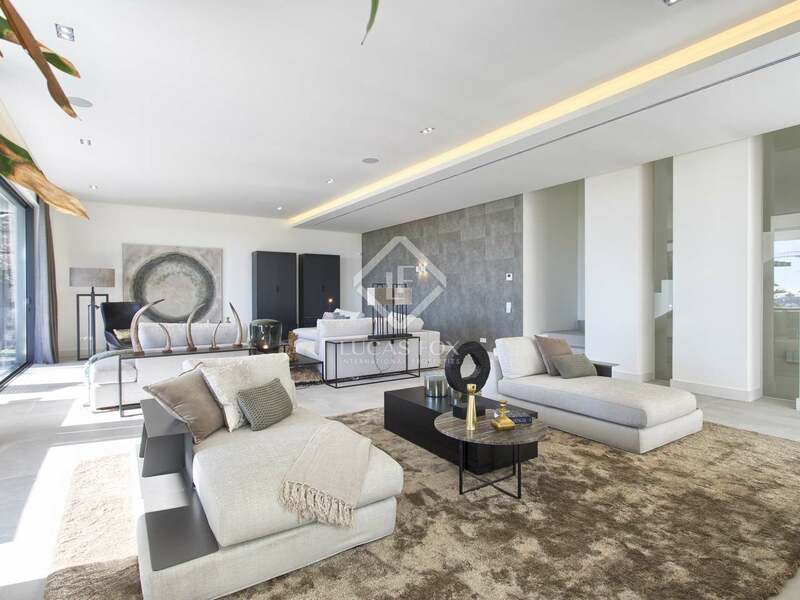 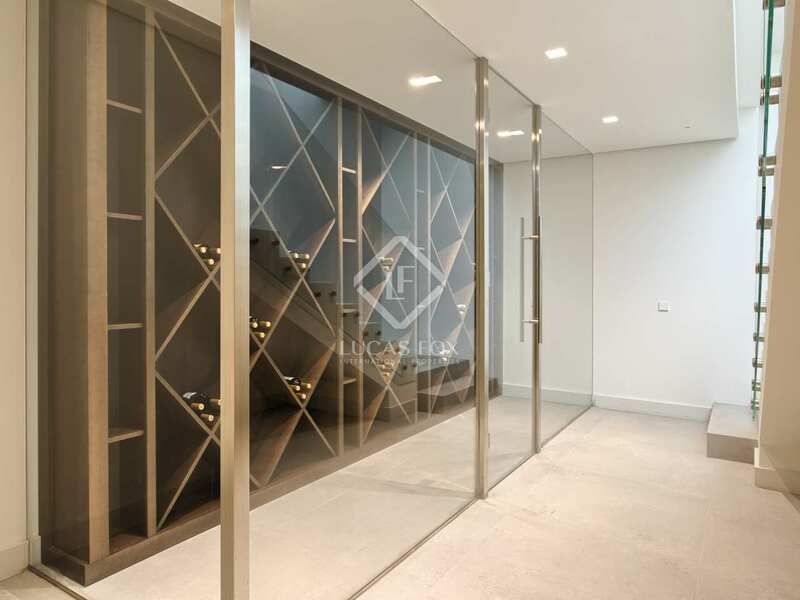 The bottom floor offers the fifth and final ensuite bedroom, a wine cellar and a games or cinema room. 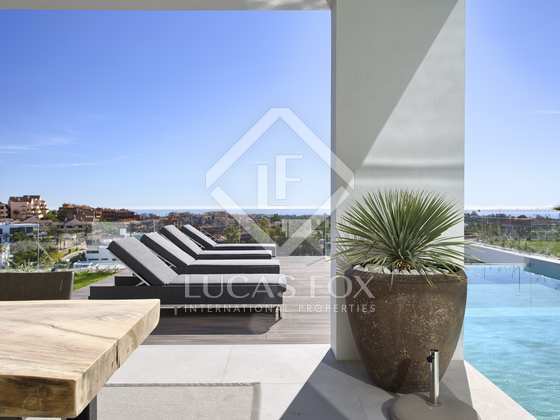 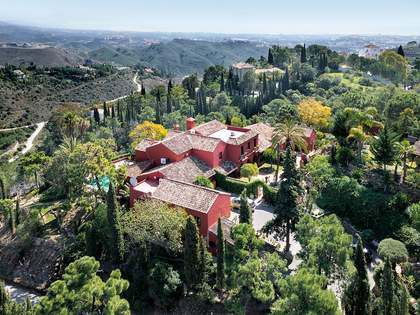 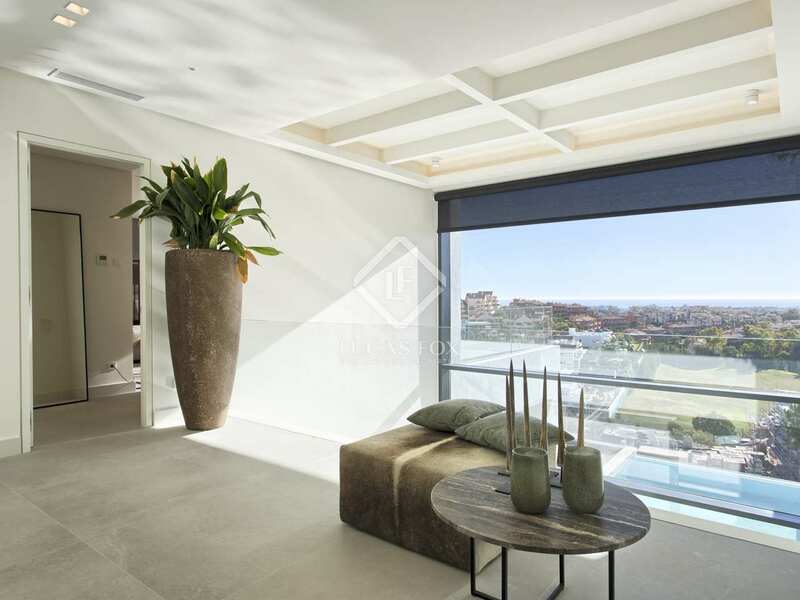 The views, location, slick new interiors and lovely private garden and pool make this an enviable place to reside in Benahavis. 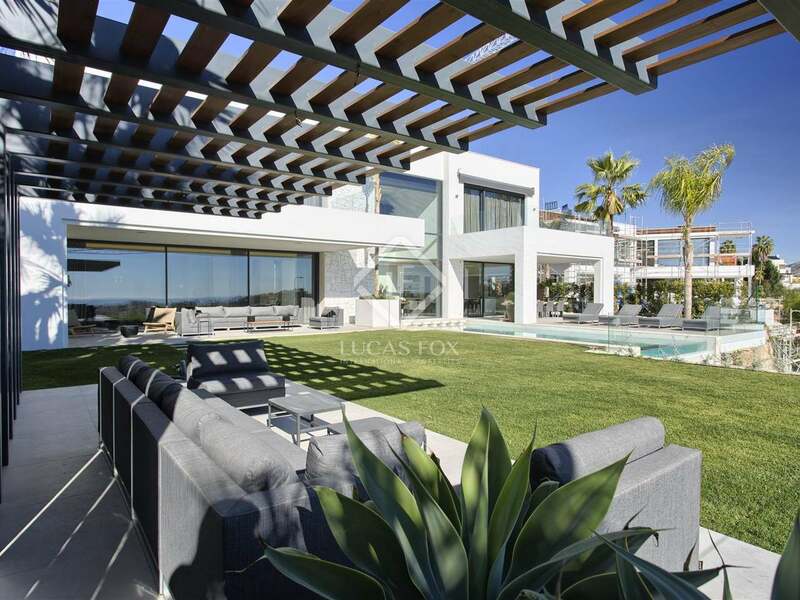 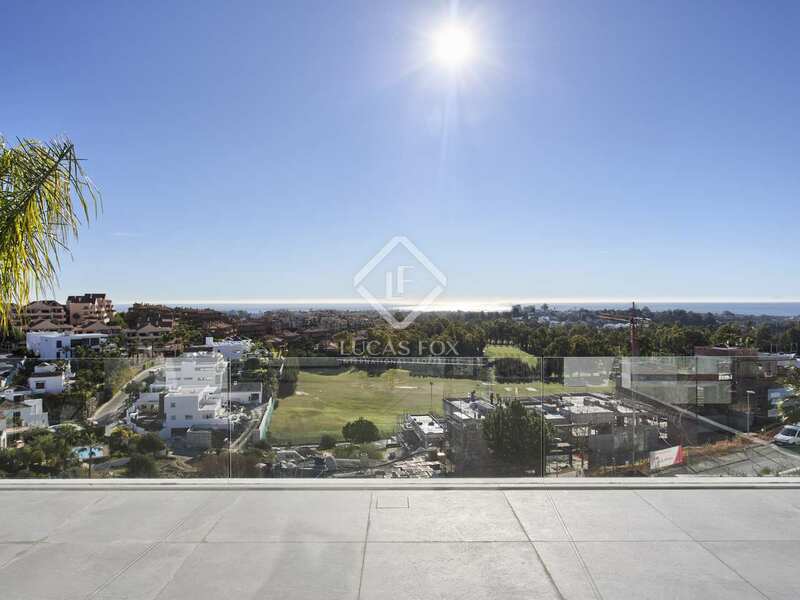 This new villa enjoys an excellent location in Benahavis, close to amenities, international schools, a golf course and just a 10-minute drive from the beach and Puerto Banus.